Zoning is a legal mechanism that enables a local government to regulate development of privately owned property. 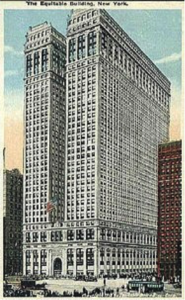 In 1916, New York City adopted the nation’s first comprehensive zoning rules and regulations known as the “Zoning Resolution.” The law was prompted by the construction of the 42‐story Equitable Building in Lower Manhattan (see Figure 1, below) that caused concerns regarding height, form of the buildings, and shadows that affected property owners and the value of their property. The Zoning Resolution became the model for future laws and is still the traditional method of land use regulation. The constitutionality of zoning rules and regulations was confirmed in the 1926 United States Supreme Court landmark case Village of Euclid, Ohio v. Ambler Realty Co.
Zoning is the language of the physical city. It aims to promote an orderly pattern of development and to separate incompatible land uses, such as industrial uses and homes, to ensure a pleasant environment. The Zoning Resolution is a legal instrument to regulate and establish limits on the use of land and building size, shape, height, and setback. Within this application, one can search a property by address, block/lot, intersection, or place of interest. The results provide the site’s block and lot number, zoning district, zoning map, and historical zoning map. Within these results, there are hyperlinks that provide further information. 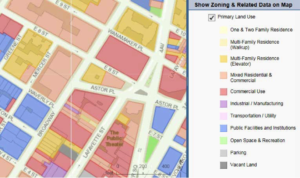 For example, entering an address that results in an “R8” zoning district and clicking on the “R8” zoning district links to the NYC Department of City Planning’s website providing additional information about the “R8” zoning district including floor area ratio (“FAR”), building height, and required parking. 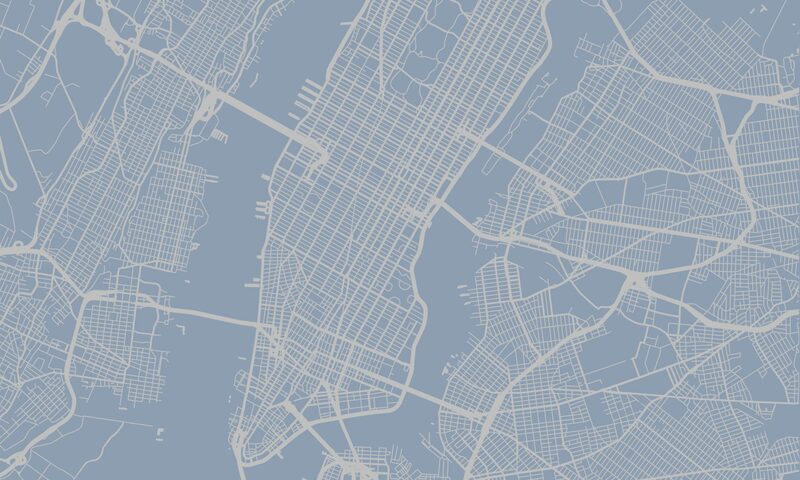 The NYC Department of City Planning also publishes a “Zoning Handbook” that is available for purchase online and at their Manhattan office at 120 Broadway, 31st Floor, New York, NY 10271. The “Zoning Handbook” greatly assists any user in interpreting the Zoning Resolution, which is estimated almost 1,300 pages. Zoning is enforced by the NYC Department of Buildings, which holds the primary responsibility for interpreting and enforcing NYC’s Zoning Resolution to ensure the safe and lawful use of buildings and construction sites across the five boroughs. 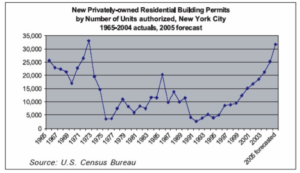 Much development in New York City occurs as‐of‐right. Once the NYC Department of Buildings is satisfied that the proposed structure complies with all relevant provisions of the Zoning Resolution and the Building Code, a building permit is issued and construction can begin; no further action is required. Land use refers to the activity that is occurring on land and within the structures that occupy it. Types of uses include residential, retail, commercial, industrial, vacant land, and parks. In each case, where appropriate, the number of buildings and their heights, the number of dwelling units, floor area, and square footage should be noted. Public policy has a significant role in how a city develops. Policies are shaped by public stakeholders, interest groups, politicians and local community boards; and they are enforced by government agencies. This section outlines prominent agencies, regulations and incentives that directly affect and oversee real estate development in New York City. A majority of the information provided focuses on residential and multifamily development, as housing is the most regulated sector of real estate. Commercial (office and retail) and industrial development is mostly controlled by zoning and land use law as previously discussed in Sections II A and B. We have selected a few specific agencies that are particularly active in the financing and regulation of new developments and preservation projects in the five boroughs. These agencies may have encumbrances on properties, and their approval may be required for the sale of a specific property. Furthermore, these agencies may be responsible for interim ownership and transfer of title of blighted and foreclosed properties throughout the City. They are in essence the “owner” of many sites throughout the City, and take on the role of financier and partner of many private and not‐for‐profit developers. Valuable financing and subsidy programs are provided and administered by these agencies, and may be imperative to the success and feasibility of a project. The term “public‐private partnerships” is often thrown around in regards to urban development and revitalization. It is precisely these agencies that comprise the “public” side of such a partnership. They offer financial incentives to private developers and real estate owners to encourage them to invest private capital and resources in community development and rehabilitation projects. It is, therefore, imperative to understand the role that development agencies play and how to navigate them when considering the acquisition or development of specific NYC sites. HCR Affordable Housing Corporation (AHC). HCR and its subdivisions are important to become familiar with should an owner/developer pursue the development or acquisition of multifamily or SFR rental housing in NYC. Property site research may reveal that one of these agencies is a mortgagor of the property. Often times, HFA and SONYMA loans are assumable for future buyers. Alternatively, the mortgage may have an accompanying Regulatory Agreement that encumbers the property, and may require agency approval to sell. SONYMA has a first‐time homebuyer loan product to promote homeownership that requires minimal down payment and boasts a low interest rate. There are a variety of similar incentive programs and loan products to promote residential acquisitions by New Yorkers. While some of these are reserved for primary residences, others can be used to purchase a single family or townhome rental property. These programs originate and evolve over time. For the most up to date program information, always refer to the HCR homeownership and rental owner links (below). HDC and HPD function in a similar capacity. They are both financing and development corporations that fund and oversee the construction and preservation of multifamily housing in NYC. HDC was created by the New York State Legislature in 1971 as an alternative means of supplying financing for affordable and mixed income housing separate from the City’s capital budget. Flexibility was built into the agency’s mission, and it has amended its tools and resources over time to now include the issuance of bonds and low‐cost loans, and a variety of subsidy programs to develop and preserve housing. HPD was established in 1978, and operates in a similar capacity as HDC, with additional responsibilities of compliance monitoring, management and regulation of the City’s housing stock. HPD oversees city government programs to reach specific housing targets (ie Mayor Bill De Blasio’s Housing New York Plan: 200,000 affordable housing preserved or constructed units in ten years). HPD is often a partner of developers and community organizations to ensure that these projects are feasible and in compliance with the City’s neighborhood planning initiatives. Some of the unique functions and development resources offered by HPD include: tax abatements, issuance of tax credits and low‐interest loans. The agency participates in oversight of its projects through issuance of fines and penalties to owners for failure to maintain compliant and up‐to‐code housing. In this manner, HPD is a tenant advocate, proactive neighborhood planner, and ultimately ensures quality, not just quantity, of housing for New Yorkers. Like most community development agencies, HDC and HPD originate projects through a Request for Proposal (RFP) process. RFP links are available for both agencies. City owned land and foreclosed properties with City mortgages fall under the jurisdiction of these two agencies. An agency may issue an RFP for developer proposals for the new development or redevelopment of a blighted property. The requirements and selection criteria are published in the RFP and made available to the public. The overseeing agency establishes a list of qualified developers to acquire these sites, and to develop them per the agency’s specifications. Through a public‐private partnership structure, the agency assists the developer with assembling the capital stack to realize a feasible and profitable project. The next section discusses public policy in the form of legislation and initiatives that incentivize developers to build in‐demand assets; in New York City, this is almost always housing. Development incentives are imperative to successful city planning. These incentives provide financial justification for a developer to construct a property that may not necessarily be best and highest use, or one that may accommodate reduced income units (ie affordable or supportive housing). It allows the City to have an active role in creating and maintaining vibrant and diverse communities. This section will briefly discuss some of the major tax‐related incentive programs, as well as 80/20 developments which allow owners to build beyond as‐of‐ right square footage per zoning and floor to area ratio (FAR). As a potential investor or developer in an 80/20 project, or one that has received special tax treatment, it is important to understand the mechanism in place and how it will affect future property tax rate assumptions. It may also become necessary to be in open communication with the City to maintain or extend tax exempt status for a property after you have acquired it. 80/20 Developments are not unique to New York City, and exist throughout the nation. This development program has become a widely popular and successful means of incentivizing developers to construct desperately needed affordable housing throughout American’s cities and suburbs. In New York City, a developer is able to build beyond the maximum square footage as defined by zoning and FAR for a lot if the project will be housing that offers 80% market‐rate units, and 20% affordable housing units.12 In addition to the ability to build additional rentable square footage, HFA offers tax‐exempt financing for 80/20 developments to help create a feasible project. HFA will require the owner to enter a Regulatory Agreement that will assure rent regulation and compliance for the affordable component. Furthermore, if 80/20 developments are built in specific districts of NYC, additional tax incentives may be available through the City. These developments may take the form of a public‐private partnership to redevelop City owned land and revitalize a neighborhood (ie Battery Park City).